JRPG Jungle: Persona 4 Arena Ultimax Rated By The Australian Classification Board - Could This Mean It's Coming To PAL Regions? 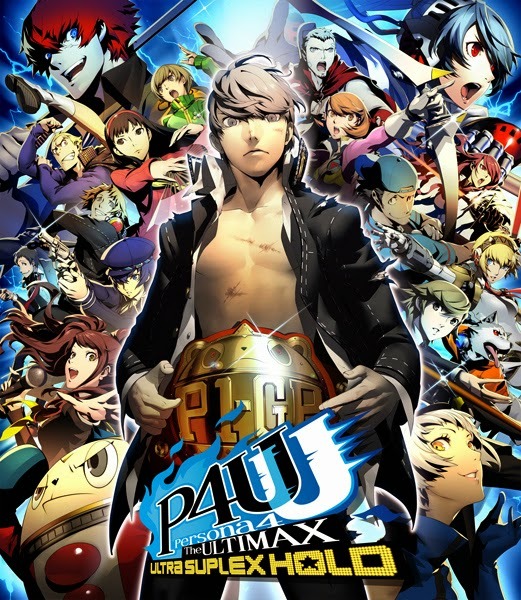 Persona 4 Arena Ultimax Rated By The Australian Classification Board - Could This Mean It's Coming To PAL Regions? Persona 4 Arena Ultimax has been rated by the Australian Classification Board, suggesting that the game could come to Australia and possibly other PAL regions, including Europe. While no confirmation has been made by Atlus or Arc System Works, it would be rather strange to have a game classified if there were no intentions to release it. The rating can be viewed at the Australian Classification website (or here). This wouldn't be the first time the Australian Classification Board has revealed an unannounced game. Atelier Rorona Plus was rated by the Board around a week before it was officially announced. Even if this game doesn't get announced for PAL regions, Persona 4 Arena Ultimax can still be imported and pre-ordered by fans from these regions as the game has been announced as region free. Are you also crossing your fingers for an European/Australian release? Comment below or send a tweet to @JRPGJungle and let us know!